This Star Wars font is based on samples of Mandalorian seen in the Episode II Visual Dictionary as well as menu screens from the 2004 DVD release of Star Wars. This font includes all English letters, numbers, and common punctuation marks (basically, all the stuff displayed on the keyboard). Uppercase and lowercase letters are identical. Also, kerning has been enabled for this font. 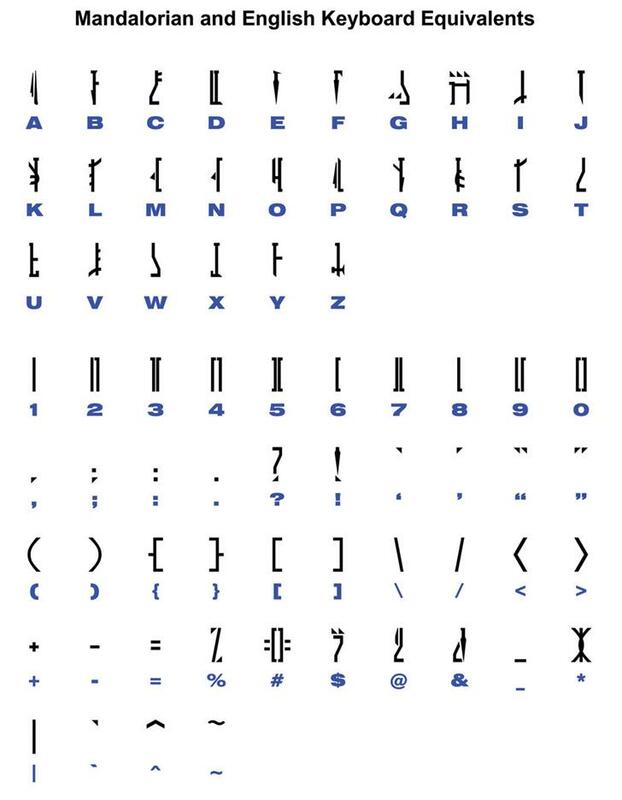 See mandalorian_table.jpg for a full table of Mandalorian letters and their respective keys. nice font :)) just to ask... is there any Corellian alphabet in any of the books or websites?